Warning: this post contains spoilers from season five of Justified. While FX’s Justified never received the accolades of Breaking Bad, or had the critical acclaim of the Wire, it was quietly one of this era’s best TV shows. The series, based on an Elmore Leonard short story, found strength in character, setting, and an amazing refusal to fall to cliche. It was these strengths that made Justified the best Leonard adaptation because it held true to his own strengths as a writer. As with his novels, Justified does a great job of not giving us characters that are one thing. 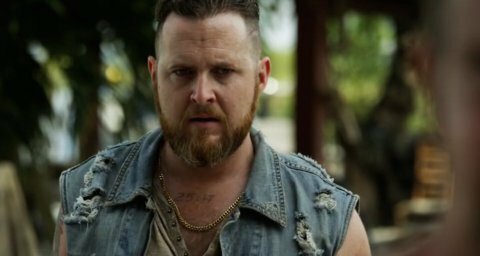 An example of this is season five villain Danny Crowe (AJ Buckley). He was introduced as a strong, violent character who shoots first, second, third and just never gets around to thinking. By itself that gives us a character that we’ve seen before. What Justified does so well is dive into the specifics of a character making them standout. It was his last episode “Weight” that delved into it to great effect. While Danny mourned for his dead dog Chelsea, Raylan Givens (Timothy Olyphant) arrived. Danny explained that Chelsea came from a puppy mill that was ran by his friend. All the puppies were dead except for one, and he took that puppy in. It was an incredibly touching moment that rang true. It didn’t make Danny a good guy, no… it made him human. Which led into the reason this was his final scene on the show. In this scene it also showed how deftly Justified toyed with and ultimately discarded Chekov’s Gun. Throughout the season Danny Crowe threw down the 21 foot rule challenge. The 21 foot rule is the distance that anyone with a knife within 21 feet is a threat. Danny was willing to test it out with his machete against anyone with a gun. No one took him up on this episode and it was none other than Raylan who took him up on it. Right after finishing his sob story, this scene took place. The scene was a play on the high noon showdown, Danny believed he could kill someone by charging with his machete before his opponent could fire off a shot. Raylan who prided himself in being a quick shot was ready but before Danny could get there in his charge he fell in a hole… The result was levity and death, but something true to Justified. You don’t always get what you think you’re going to get, and as a fan that was always a blast. As a child, my favorite day of the week was Saturday. More specifically Saturday morning. 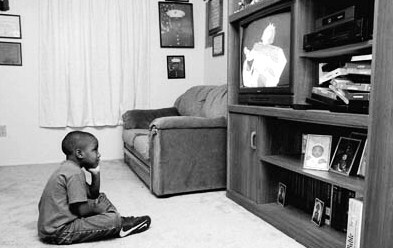 While many people my age or older also have stories about how they would watch any number of cartoons for me it was different. I would wake up at 4 am and quietly walk out to the living room. I grabbed a bowl of cereal and sat in front of the screen. It was so early that the local FOX affiliate didn’t have programming. The local NBC affiliate was playing Ron Popeil infomercials, but I was up anyway… Waiting… Excited. There was something about this that was liberating. As the youngest of seven there was rarely a moment I not only had the entire living room to myself, but also control. The first cartoons started at 7 am, and by the time my siblings were up I already watched four different shows. I wasn’t ready to give up this power because I knew exactly what I wanted to watch. By mid-season I knew the rhythms of each channel. In the time before DVR I was king (at least in my living room on Saturday mornings). It’s not just that I love watching TV to shut my brain off. I like to think about what I’m seeing. To think about what the motivations are, the subtext, and just be a fan of the entire process and the execution… or not. The same way I enjoy a book, I enjoy television. It doesn’t have to be stupid, and I don’t expect it to be, but it all doesn’t have to have high aspirations. Despite now being a father and husband, I still get excited about television. While I don’t sit as close, or watch as obsessively I still break things down in a way that no one else cares to hear. That’s just me and since people don’t always love to talk about it I’ll share it here. Hope you enjoy my company because I know I do.